Do you have brown spots on your skin? You either have freckles, moles, birthmarks, or a combination of all three. We don’t think much about them. They’re just a part of the state of our skin. We assume if it was cancer, it would look like it. But do you know what skin cancer really looks like? Could you tell the difference between a freckle or skin cancer — and are you willing to risk it? Skin cancer doesn’t always look scary. It also doesn’t always look the same. It can be brown, red, or even black. We tend to think of skin cancer as misshapen dark spots. This describes melanoma, the most dangerous kind, but not the most common form of skin cancer. One in five Americans develops basal cell skin cancer, or squamous cell skin cancer, which often look more like red, scaly, non-healing sores. These cancers don’t pose the same risk as melanoma, but it’s important to catch them early. So, how do you know if you have eczema, a freckle, or skin cancer? You won’t, because you’re not an expert. This is where your dermatologist plays a vital role. They have the expertise to differentiate these similar-looking lesions and make a proper diagnosis. 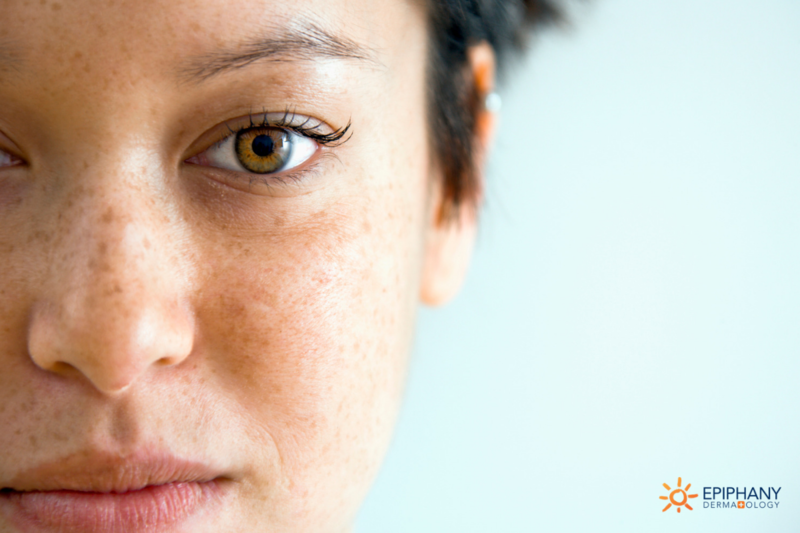 Freckles are actually evidence of a genetic mutation in your “freckle gene.” No, you’re not an alien, but when this gene (called the melanocortin one receptor gene) is mutated, you are at greater risk for predisposed skin cancer — both melanoma and non-melanoma types. Pay close attention to your spots, get them checked out by a professional, and of course, take measures to protect yourself from the sun to decrease your likelihood of developing skin cancer. If almost everyone has freckles, moles, and sunspots, when should you be worried? We start with the alphabet as a guide — the ABCDE’s of skin cancer. Be concerned when spots are odd-shaped, have an irregular edge, or color, are growing, or are raised. This is the starting point for determining if a spot is suspicious and needs further evaluation. However, your analysis shouldn’t stop there. This system has been around a long time and is not the only way to determine if a spot is okay — or something else. Technology has come a long way since the development of the ABCDE’s of mole evaluation — and so has our experience with skin cancers. Everyone should have a baseline skin exam by a dermatologist. Think about it like a dental checkup — we go in twice a year for our teeth cleaning, but we don’t place the same emphasis on regular skin checks. With regular dermatology checkups, your doctor can easily monitor suspicious spots and the changes that take place between appointments. They’ll also likely be able to detect pre-cancerous or cancerous spots early on and intervene before they grow into a more significant problem. Visit your dermatologist annually for these exams. Don’t just rely on your family doctor alone to identify suspicious spots. You need a specialty doctor who spends their life diagnosing and differentiating between skin conditions. Spot evaluations are among the most difficult diagnostic endeavors in medicine. We’ve come a long way with devices that scan the skin for visual algorithms that evaluate factors such as color irregularity and border irregularity. These are great at finding melanoma — but they’re not very good at telling us what is not melanoma. You can put the device to nearly any dark spot and it will recommend a biopsy. It’s then up to the dermatologist to know what not to biopsy. There’s no technology that determines that — it’s up to our experience and instincts. Don’t waste any more time trying to decide if your suspicious spot is a freckle or skin cancer. To the untrained eye, there’s no way to be sure. It’s time for a professional skin exam. 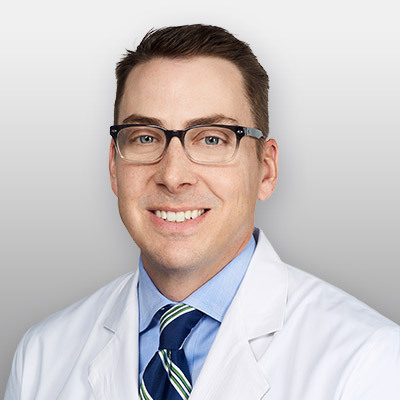 Dr. Christopher Fuller is a board-certified dermatologist in Keller and Roanoke, TX. After three years of general practice with the Marines, Dr. Fuller found himself drawn to the highly specialized field of dermatology. He pursued a residency in dermatology and was recognized as Chief Resident during his final year of training. A member of the American Academy of Dermatology, Dr. Fuller is skilled in practicing medical, surgical, pediatric, and cosmetic dermatology. Learn more about Dr. Fuller.